This velveteen bag is all about the details. It features a soft textured finish and bat wings to give you one our favourite, attention demanding accessories. 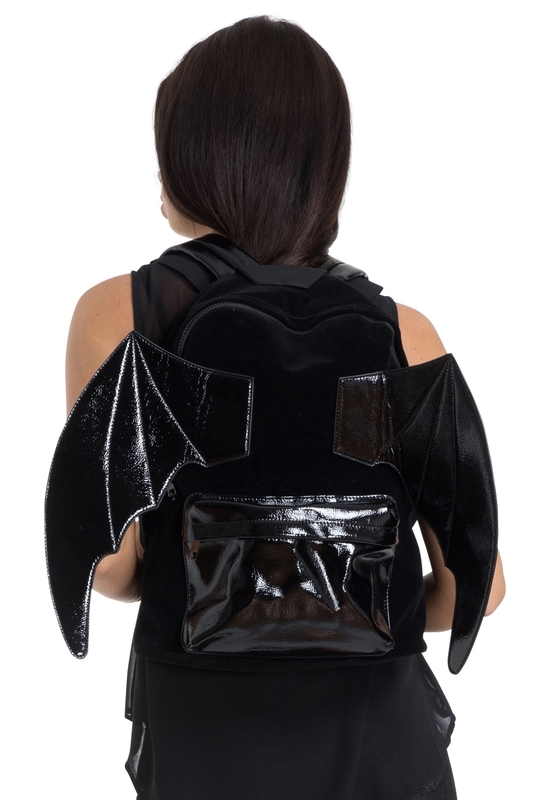 Grab our bat backpack and up your alternative vibes in an instant.